Please join us for a lecture and book signing with author and long time board member of the Wheeler Center, Marc C. Johnson. Marc C. Johnson has worked as a broadcast journalist, a top aide to Cecil D. Andrus, Idaho’s longest serving governor, and a public affairs and crisis communications consultant. Marc spent nearly 25 years in various capacities with Gallatin Public Affairs, including serving as the firm’s president and the long-time managing partner of the Idaho office. A student of political history, Marc writes and speaks regularly on political history with particular focus on the New Deal era, U.S. Senate history and the America presidency. He lives on the north coast of Oregon. We will be hosting a lecture by Marc at 5 PM in the Procrastinator Theater located in the Student Union Building on the campus of Montana State University before the book signing. This event is free and open to the public. Burton K. Wheeler (1882-1975) may have been the most powerful politician Montana ever produced, and he was one of the most influential—and controversial—members of the United States Senate during three of the most eventful decades in American history. A New Deal Democrat and lifelong opponent of concentrated power—whether economic, military, or executive—he consistently acted with a righteous personal and political independence that has all but disappeared from the public sphere. 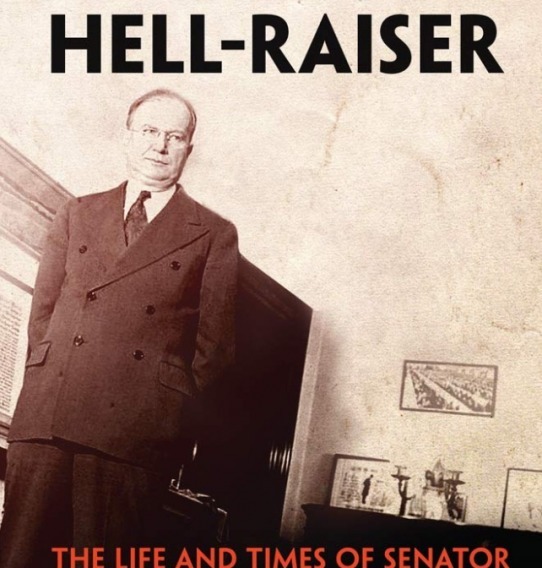 Political Hell-Raiser is the first book to tell the full story of Wheeler, a genuine maverick whose successes and failures were woven into the political fabric of twentieth-century America.